To provide participants with the necessary skills that provides management with high quality information on various issues for better decision- making in a changing and a global environment. 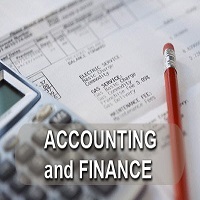 To prepare participants for local and international professional degrees as certified accountants, financial analysts, fraud analysts, cost and management accountants and Islamic professional accountants .The program syllabus is based on the program and work of the major professional associations such as SCCA (Sudan) ,ICMA (UK),ACCA(UK),AICPA(USA) and AAOIFI (Bahrain). To prepare participants who wish to pursue their postgraduate studies to the PhD level. The program comprises the main accounting courses, a course on business research methodology and a research paper that trains participants on how to conduct research in accounting and finance. This helps to qualify accounting staff members capable of proper teaching and research in universities and institutions of higher education in Sudan. Should have completed a BSc degree in accounting /business administration/finance/banking/insurance with enough accounting background and experience. Should have scored a minimum grade of Good. Applicants with Pass grade should have a working experience of three years. The candidates BSc degree should be authenticated by the Ministry of Higher Education and Scientific Research of Sudan after March 2003. The pass mark for all courses is 60%. Participants will be awarded the Msc degree in Accounting and Finance only if they pass all courses and scored the required minimum CGPA. Supplementary exams will be arranged for failing participants in line with the SIU regulations which will be made available to participants on enrolment. Participants who fail to attend the end-of-semester exams without prior arrangements and good reasons will be given F in the respective courses. Participants who cannot attend the end-of-semester exams for good reasons have to apply, well in advance of the exam\ dates and in writing, for substitute exams. The Program will be conducted in English .Candidates are therefore expected to demonstrate a reasonable level of fluency in English. Lectures by CEOs, businessmen, and financial managers in the public and private sectors.